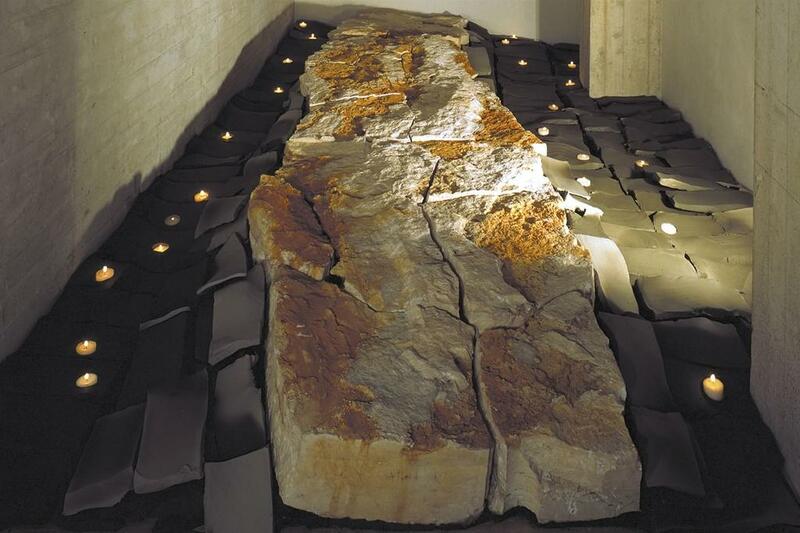 Materials: travertine, clay and wax. Dimensions: m 4,8 x 2,7 x h 0,7. 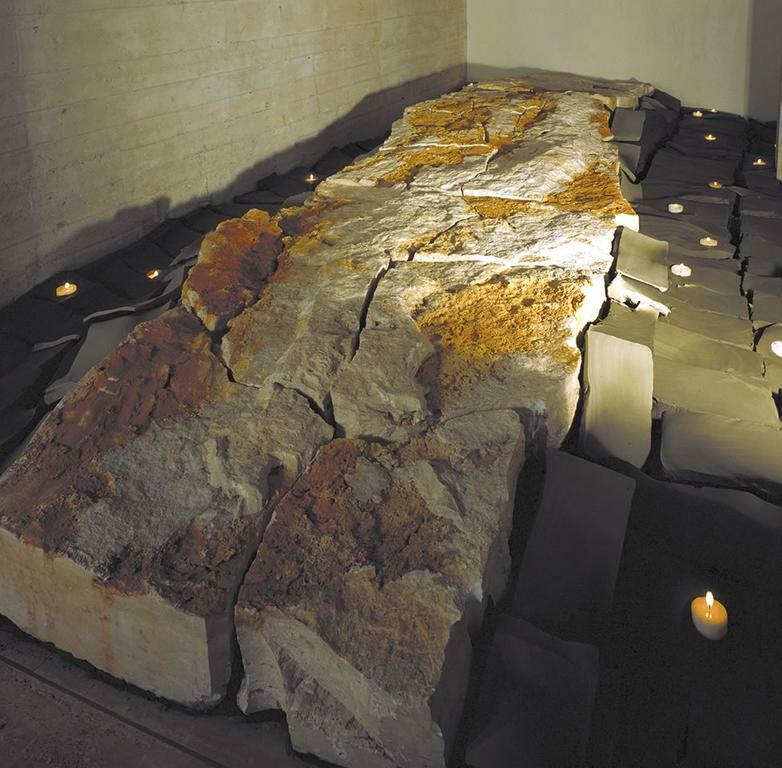 The Biennial of Sacred Art offered Maria Dompè the opportunity to reflect upon the life of Mother Teresa of Calcutta, and to exalt in the profound spiritual dimension of the life and actions of the deceased (1997) sister. 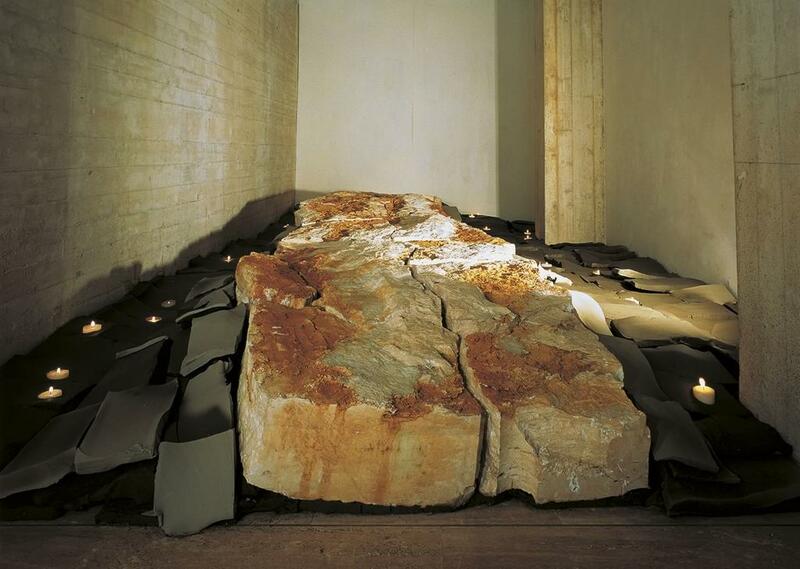 The spirituality expressed through the materials: the large blocks of travertine placed on the floor, modelled clay in irregular shapes that evokes the bottom of a dried river bed, elements that suggest the idea of inertia and weight and create a fascinating chromatic play in the rectangular environment that contains the installation. The space of the work, impassable, imposes one’s poetic presence; the candles inserted in the clay, sources of light, invade the space with a clarity that is both suffused and vibrant and that increases the harmonic contrast among the materials. All of which sends us back to the eternal message and work of Mother Teresa of Calcutta.